Anyone who has watched American Chopper knows that a bike can be made to look like a representation of pretty much anything; a fire engine, the Statue Of Liberty, a helicopter. But to make a bike look almost like the object it's meant to be, just with two wheels added AND look good doing it; thats a master stroke. The beautiful two-wheeled beast here was created as a tribute to the legendary car company Jaguar, by a die hard Jaguar fan from the comfort of his own garage. 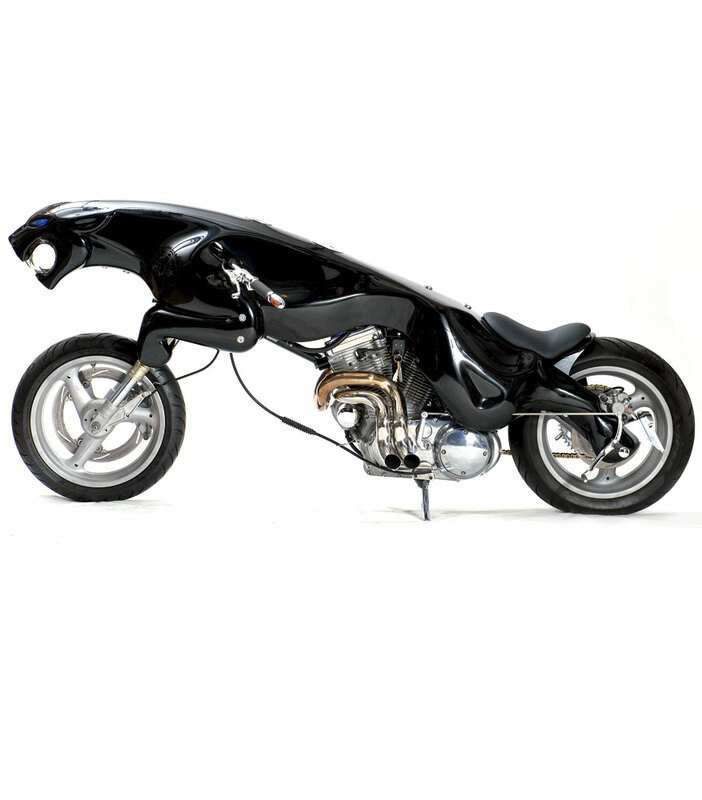 Designed by the artist Barend Hemmes and built by Massow Concept Cycles, the Jaguar Nightshadow Bike is a 1200cc one-off based on the jaguar's famous Leaper bonnet mascot. 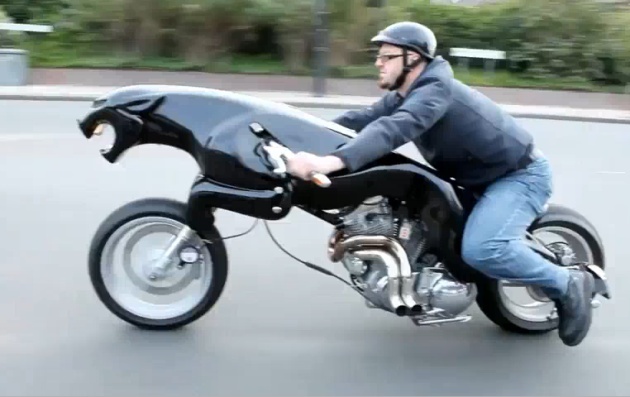 News about the Jaguar Motorcycle leaked ou way back in 2008, but now it has been completed, photographed and captured on video. The Nightshadow bike is perfectly street legal, something that must stop traffic in its tracks when out and about. 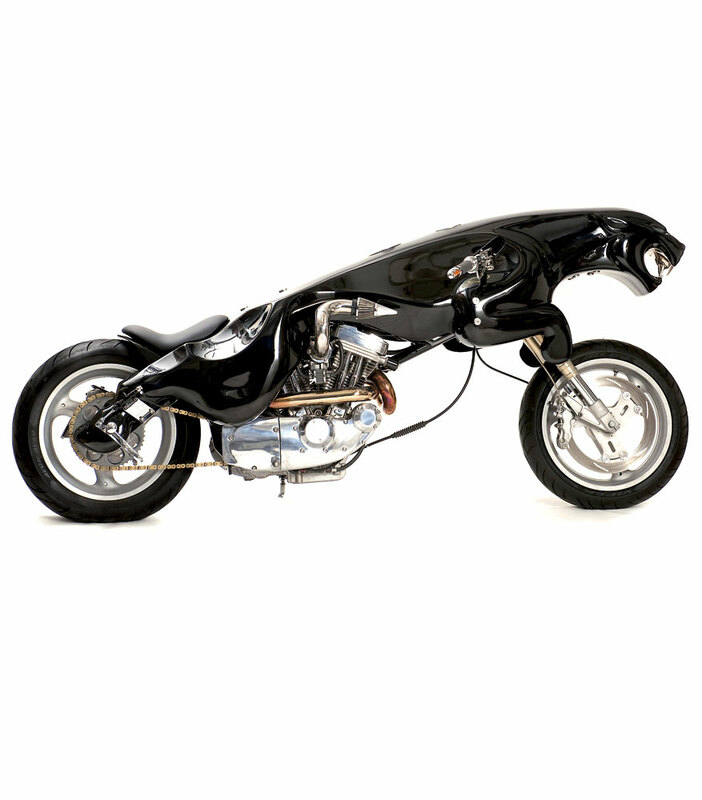 The bike’s frame is made of 4130 stainless steel and finished in high glossy ebony lacquer. 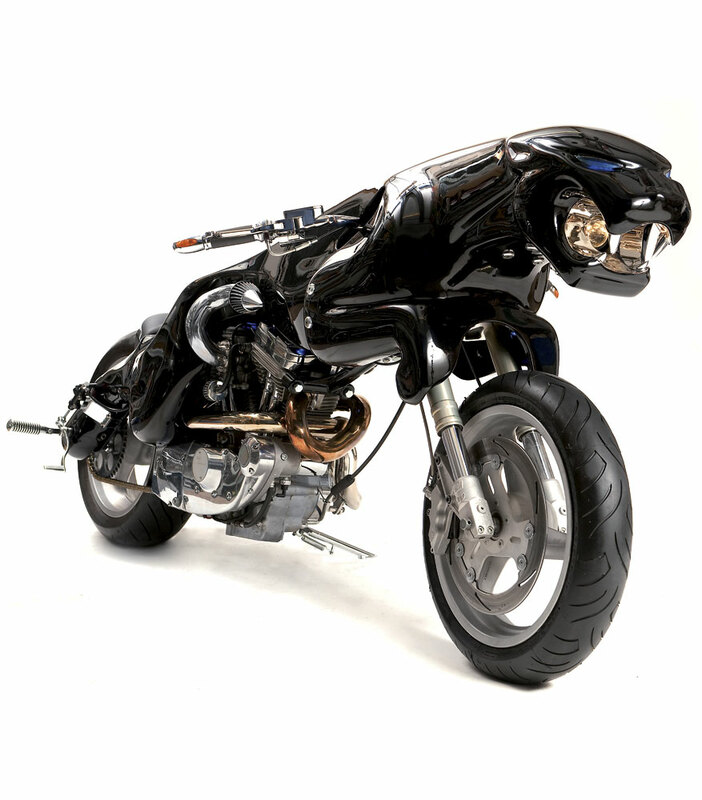 The big cat is powered by the Buell 97 S3 Thunderbolt V-twin, with a top speed which is of about 50mph; dues to the 'interesting' aerodynamics. More time for passers-by to admire the looks and the stingray skin seats; jafuar skin would surely have been a more fitting choice, but of course theres the drawback of it bing completely illegal, immoral and just downright wrong, old chap. The bike is for sale, priced at £320,000 (about $567,000), and Hemmes is currently in talks with Jaguar about using the motorcycle for branding purposes. The engine no doubt has a soothing purr, but will superior cat-like reflexes be needed to handle this magnificent beast; it appears that it will be difficult to see the road ahead of us over the bodywork. 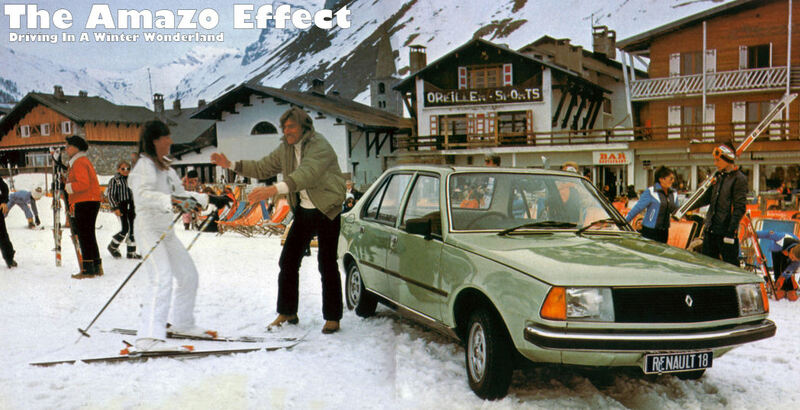 Whether you like it or you hate it, you have got to be impressed by the workmanship. And as it turns out, the builders of the bike were so pleased with their creation that Hemmes is currently working on a new concept, a bull shaped motorcycle that the Red Bull Energy drink lovers would certainly love.